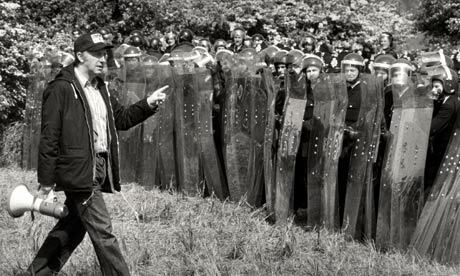 This is a collection of documentaries, news clips, interviews, personal accounts, and picture albums from the 1984/1985 miners strike. The miners strike of 1984-85 will always be remembered in British working class history as the most significant turning point in the power relationship between the working class organisations of the trade unions, and the state representing the interests of the privileged minority in the late twentieth century. The losses endured by the working class and their organisations as a whole with the defeat of the miners are still to this day attempting to be rebuilt, as are the shattered communities of the ex-pit towns. Understanding the struggle and the lessons that can be drawn from it during the months of 1984-85 are of utmost importance if these organisations are to be rebuilt, as well as the working class movements as a whole.